Everyone has a story to tell. 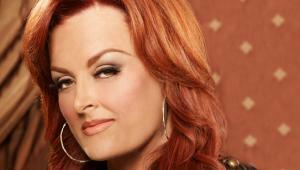 And, for Wynonna Judd, those stories have been told through song with one of the most influential and important voices of our generation. Come experience the timeless tales of her unparalleled artistry as she takes you on the revolutionary journey of her 30-year platinum career. Hear the stories that inspired her to record the songs, create the tours and make recording history while inspiring countless friends along the way. Joined by her 3-piece band including her husband, producer, and award-winning artist Cactus Moser, they will take you inside the hits and history of this iconic artist.